We have a fully equipped laboratory within our premises that facilitate us to check the quality and reliability of the coating. 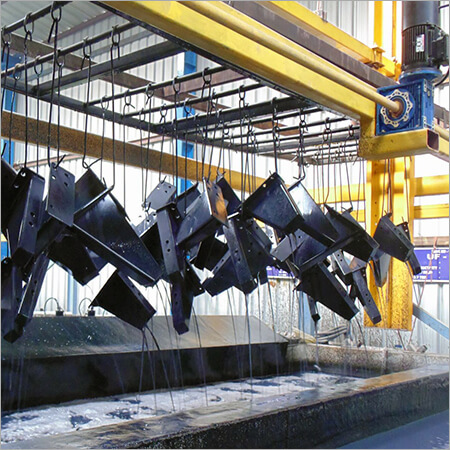 Ambika Coaters has passionately aimed to deliver quality service in surface treatment since its inception in 2011. 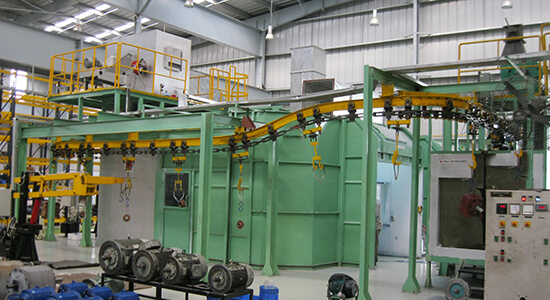 Considered to be one of the best CED coating industries, we have a fully Automated ED coating unit placed at Bommasandra, Bangalore and have always ensured to cater the needs of our customer by constantly enhancing our capabilities to provide excellent and high standard assistance in treating the surfaces of the materials. We have a full equipped laboratory within our premises that facilitate us to check the quality and reliability of the coating. Being an ISO 9001:2008 Certified Organization, we follow stringent quality norms and assure to meet the customer’s requirements without any compromise. We certify that our surface treatment process undergoes through various testing phases before delivering a quality product to the end-user. Our chemical partners, Henkel Chembond, Asian paints PPG and Henkel PT Line through their timely support has helped us achieve our task without any hiccups. We create a healthy in-house environment that aids our expert team to deliver output that encompasses all the elements of quality service. 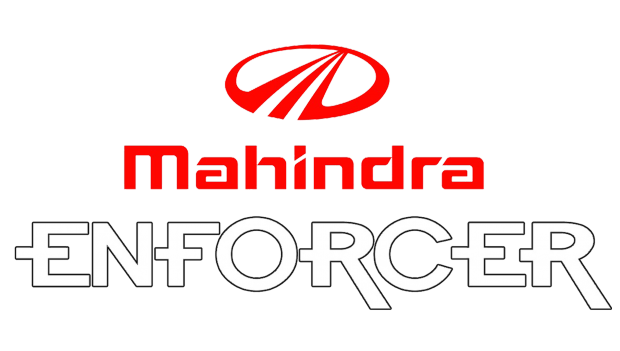 It is our dedication and team effort that made us popular among some of the best companies across the country. Ambika coaters have a profound knowledge in surface engineering and attune the surfaces of the materials to achieve its longevity. The surfaces of the metal are treated to modify its properties so that it enhances its appearance, improves hardness, provides resistance to corrosion, wear and tear and improves the life of the metal. With our comprehensive strategy and expert team support, we provide quality service in CED coating, Dacro coating, powder coating, zinc nickel plating, nickel plating electro less nickel plating, zinc trivalent plating, and zinc-iron plating. 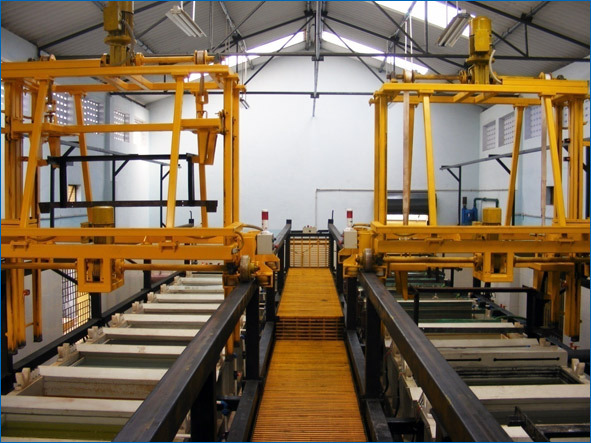 CED is a wet coating system that helps to deposit a layer of primer coat on pre-treated metals by dipping them inside the positively charged paint bath. Dacro coating has excellent benefits. It is highly resistive to bimetallic corrosion and eliminates hydrogen embrittlement. 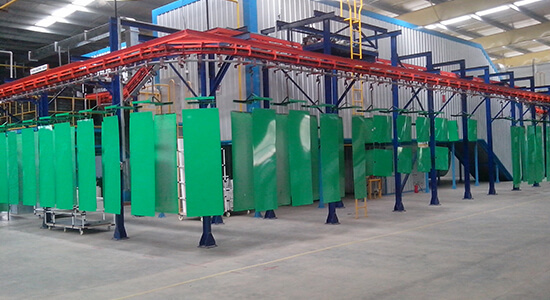 It shows great performance and efficiency and is widely used in the coating of various metals. The process is named after the chromate found in the chromic acid used in the bath, more commonly known as trivalent chromium. It is an auto-catalytic chemical technique used to deposit a layer of nickel-phosphorus or nickel-boron alloy on a solid work piece, such as metal or plastic. Please dont hesitate to contact us if you want any quotation !